Dendritic cells are the key initiators and organizers of the immune response. They are specialized antigen-presenting cells whose immunogenicity leads to the induction of antigen-specific immune responses. They are therefore ideal vehicles to deliver strong immunogenic signals to eliminate tumors. Dendritic cells can dictate the polarization of T cell responses by virtue of the nature of their cytokine secretion. They are also critical for maintenance of peripheral self-tolerance. Because of their key role in these central processes, dendritic cells are increasingly being used for immunotherapy of various diseases. 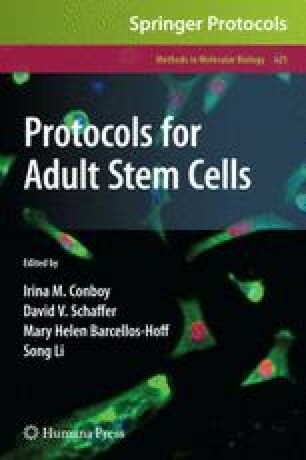 This has been greatly aided by the development of methods to derive dendritic cells ex vivo from human adult stem cells and other progenitors. Here we describe methods to assay the activity of transcription factor NFκB in the ex vivo derived dendritic cells and discuss the probable effects of the altered expression of NFκB on the functions of these dendritic cells. The author would like to thank GCRC for providing the samples of young control subjects. This study is supported by grant AG027512 and new scholar grant from the Ellison Medical Foundation.